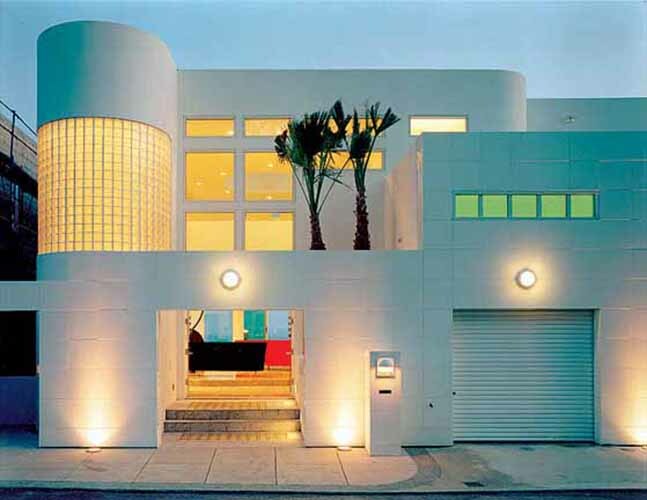 The poetic arrangement of clean geometry and elegant curves characterizes this ocean-front residence in Malibu. 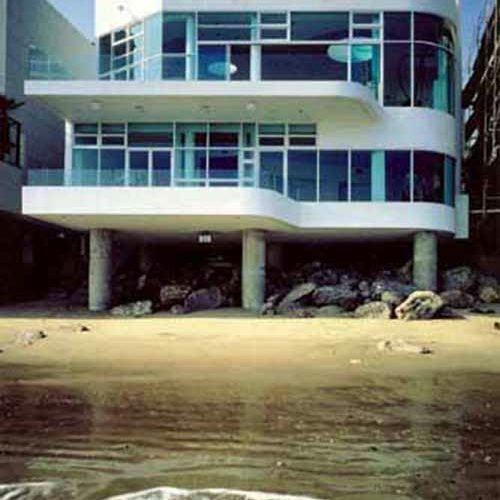 The Pacific Ocean water that swirls around the “feet” of this house at high tide provided the central theme for the design of house. 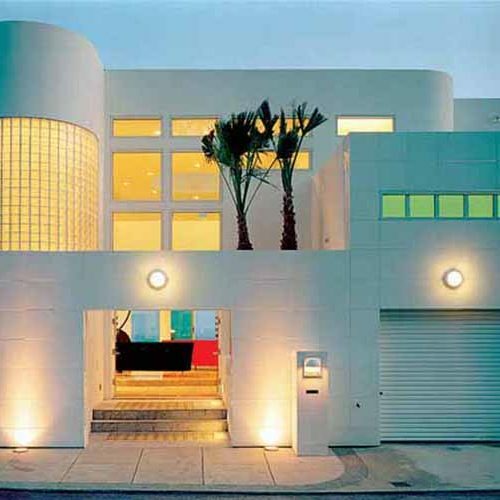 The motion of the ocean waves as interpreted by the streamline architecture of the 1930s served as the primary visual inspiration for the house’s free-flowing interior. 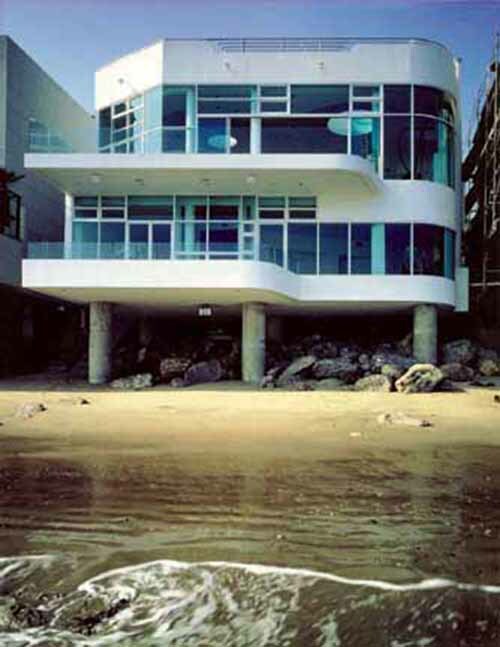 The glass windows composing the 50-feet-wide wall open up to the magnificent view of the shimmering ocean water and create the illusion that the ocean is an extension of the house itself. To maximize the sweeping ocean view throughout the house, Tanaka discarded the conventional method of defining rooms through the use of walls. 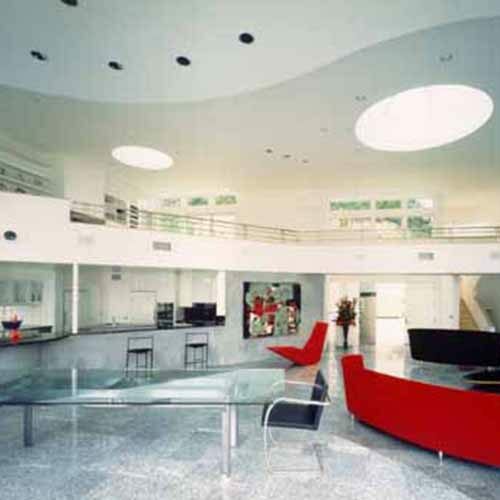 Instead, each area was defined by the striking changes in the floor levels and ceiling. A strict envelope of regulatory constraints required by local and county agencies also played a major role in the design process. Building boundaries, height and base levels were all determined by the mandatory regulations. 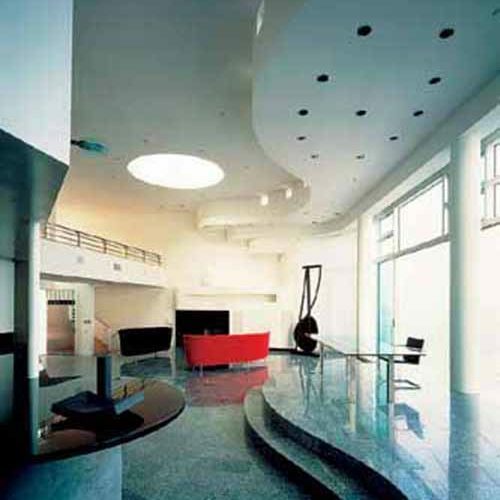 The need for providing a storm-proof and earthquake resistant structure also strongly influenced the design. 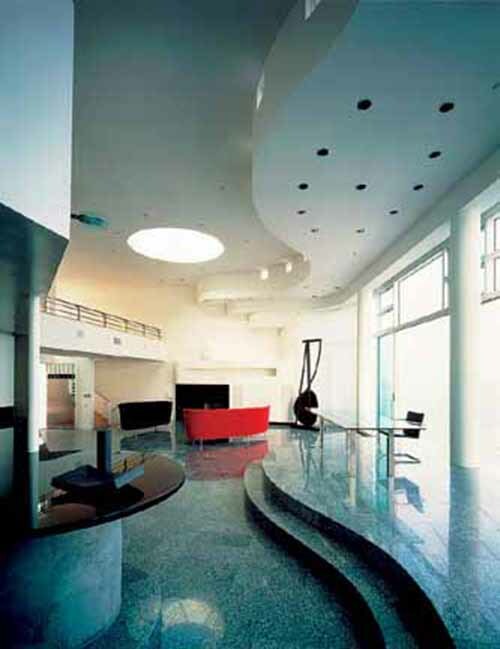 Such unique design challenges brought by the nature of the project site established a conceptual framework from which Tanaka was able to successfully an innovative design solution. 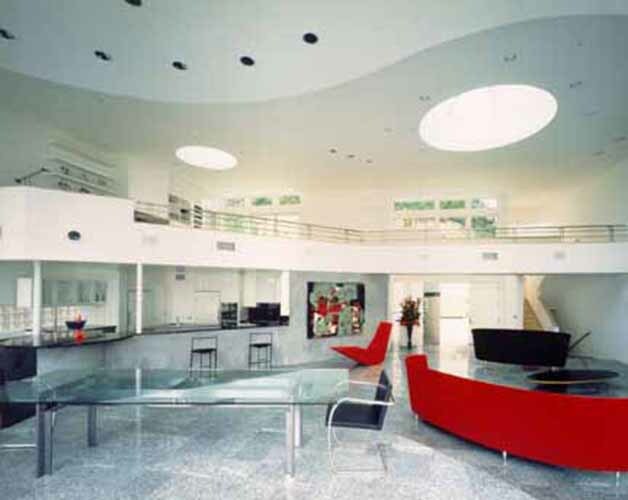 The four-story, 6,000 square foot residence was completed in 1992.